Super Smash Bros Ultimate includes the largest roster of characters yet. There are returning favorites as well as some brand new characters. One of these new characters is Ridley, from the Metroid series. He comes packed with powerful special attacks, and a seriously awesome looking amiibo. In this guide we'll break down everything you need to know about Ridley in Super Smash Bros. Ultimate, from his moves set to his ultimate final smash ability. For details on the rest of the Super Smash Bros Ultimate Roster, head over to our Super Smash Bros. Ultimate Characters Guide. You'll find an ever-growing list of in-depth character guides, covering moves, outfits and all the new changes that the Nintendo Switch game brings with it. One of the coolest announcements to come out of Nintendo's E3 2018 Treehouse event was that Metroid villain Ridley would be coming to Super Smash Bros Ultimate. He's quite the beast, standing larger than almost every other character. Ridley is sure to be the new favorite fighter for a ton of players, so we've gathered together everything we know about the character so far. This includes moveset, Final Smash, as well as the details on the amiibo figure. Edge guarding is very easy as Ridley. Side B will drag the opponent all of the way to the edge. Stay in the air as much as possible. Pivot grab has crazy range. Ridley has an extremely large hitbox, so play safe. Grab break shields and then start aerial combos. We've detailed all of Ridley's Special Moves in the table below. You'll find info on how to perform all of Ridley's special moves and Final Smash. With every new character comes a new Final Smash special move, and Ridley's is a real powerhouse. He hits his enemy into space, where they are then ploughed down by Samus' space-craft. After being reduced to a mere fly on a windshield, the enemy is then blown apart by one of Ridley's energy beams. It's an awesome sight to behold, and is clearly going to be one of the most spectacular attacks in the game. 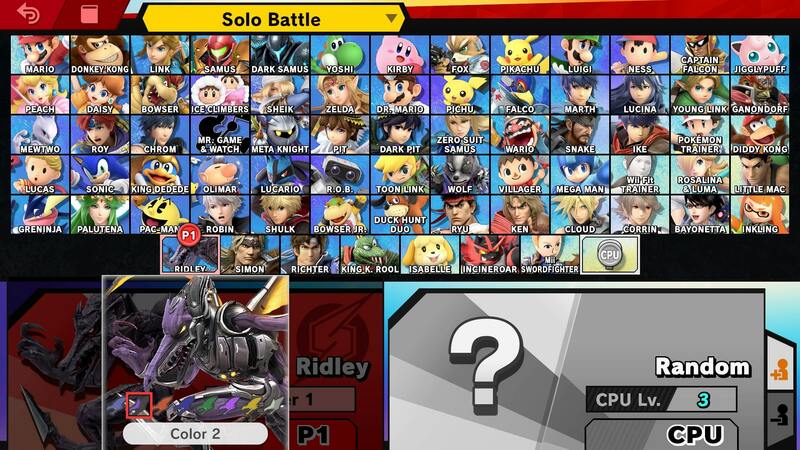 Ridley, like all the other characters in Super Smash Bros Ultimate, has a variety of alternate costumes. We've pictured them all for you in the image above. These are all available once you unlock Ridley as a playable character. 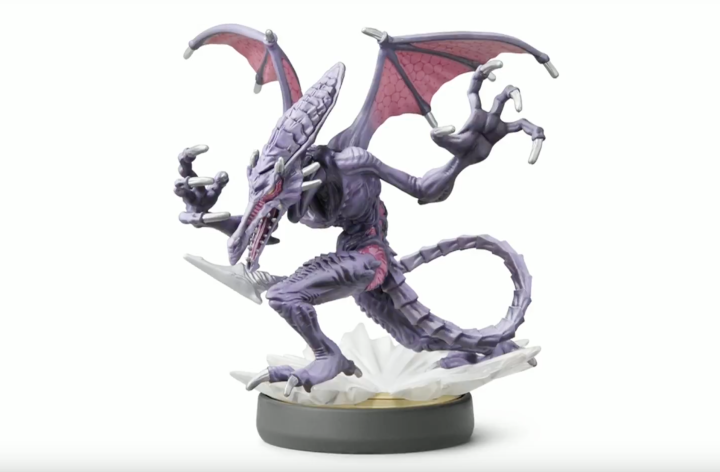 Somehow managing to make the Ridley reveal even cooler is the news that the dragon character will be getting its own amiibo. You can see it pictured below, in all its glory. The Super Smash Bros Ultimate Ridley amiibo will launch December 7, 2018, alongside the game. 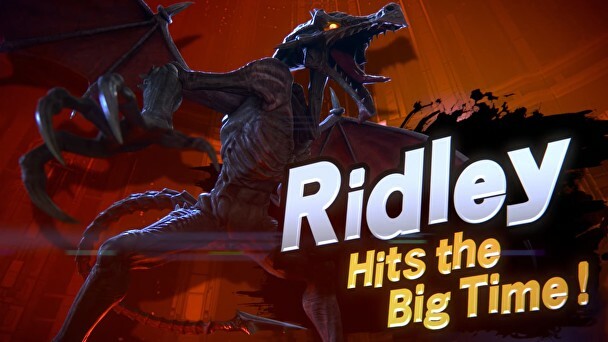 That's everything we know about Ridley in Super Smash Bros Ultimate. We'll be updating this guide as we learn more, so stay tuned for further details. For everything else on the game, head over to our Super Smash Bros Ultimate Guides hub. You'll find every trailer, what new stages we'll see, a full character roster, and more.